ARAHFEST 2017 – Aramoko-Ekiti Heritage Festival Is Anticipating! 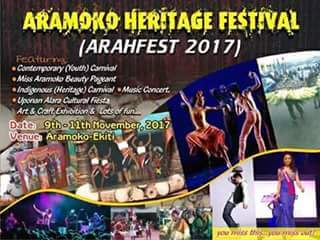 Aramoko-Ekiti remodelled “Ara Day” to “Aramoko Heritage Festival” (ARAHFEST). Saheed Osupa, 2baba and Yinka Ayefele will be coming to grace the day with local entertainers. This great occasion will focus on the youths, as they were idle (jobless) and most do wander around the streets. Extensive knowledge will be impacted to the youths as to make them think positively for the success of Aramoko-Ekiti . 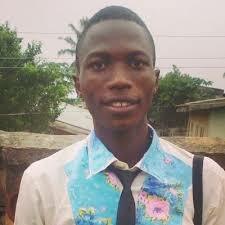 Federal University of Oye-Ekiti (FUOYE) will also participate..
Elites from home and abroad will be coming…. All for the progress of our dear heritage town, Aramoko-Ekiti, Ekiti State. To real guys in AMk, is this really true? I skimmed this from somewhere and, I wish to confirm it.